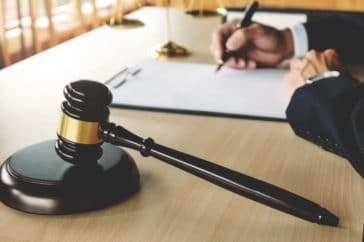 This month we have a selection of employment tribunal cases which focus on the reasons that sit behind employers’ decisions, because when it comes to employment law, it is often the case that the rationale behind a decision matters as much, if not more, than the decision itself. These cases demonstrate the way in which the Courts will scrutinise this reasoning when assessing the merits of claims. For full case updates, you can sign up to our newsletter here. In Hare Wines v Kaur , it was the reason for a dismissal that occurred on the same day as a TUPE transfer that was in the spotlight. The employee claimed that the reason was the transfer itself, whereas the employer relied upon a poor relationship between the employee and a colleague. Ultimately, the Court of Appeal preferred the employee’s explanation. The close proximity between the dismissal and the transfer was seen as strong evidence in the employee’s favour. A reminder that the Court’s will look to surrounding circumstances in assessing whether an employer’s explanation is credible. The case of Spaceman v ISS Mediclean also looked at the employer’s reasoning in relation to a dismissal. In this case it was a short service dismissal, where the reason can be key as it will determine what if any claims the employee has the right to bring. Mr Spaceman claimed that he had been dismissed because he had asserted a statutory right (an automatically unfair reason for dismissal). However, the EAT did not agree and his claim failed on the grounds he had complained to his employer about something he believed they were going to do rather than something they had done. This could not amount to a breach of a statutory right as it had not yet happened. The focus in Nissa v Waverley Education Foundation was the employer’s reasons for concluding that an employee’s medical condition was a disability. The employee, a teacher, had symptoms of fibromyalgia during her employment but had not been formally diagnosed. The employer formed the view that the condition was not a disability as it had not lasted 12-months and the medical evidence indicated that it might improve. The Employment Tribunal accepted this conclusion but the EAT did not, stating that the decision should be based on the facts known at the time and not assessed ‘with the benefit of hindsight’. This case has been remitted to a fresh Tribunal to be reconsidered and the employer’s reasons may still be accepted but this case highlights the important of a well-reasoned decision when it comes to the question of disability. The case of Gan Menachem v De Groen looks at the reason for dismissal in the context of a discrimination claim. It is inevitable in a discrimination claim that the motivation for any acts or omissions will be examined. Ms De Groen was dismissed by her employer, an orthodox Jewish nursery, as she was found to be living with her boyfriend, in breach of the nursery’s religious principles. She claimed discrimination on the grounds of religion but the claim failed. The EAT held that it was the employer’s religious beliefs and her failure to comply with them, rather than the employee’s religion that has led to her dismissal, meaning it could not amount to direct discrimination. An interesting decision which turned on the detail of the reasons behind the dismissal. Finally, London Underground v Amissah looks at liability for failure to pay agency workers correctly. Any area in which the reason for the failure was not at the fore of the decision. The Court of Appeal held that the agency and the end-user (London Underground) were equally responsible, despite London Underground relying on an undertaking from the agency that the Swedish Derogation would apply. This issue will only be relevant until April 2020 when the derogation will be abolished but if you’re not sure about any of your agency contracts, we would be happy to help you with this. In the full update, we also cover an interesting opinion from the advocate General on Working Time records, the latest guidance from ACAS in relation to discrimination on the grounds of age and the upcoming increases to statutory family leave payments. TUPE has been in the news again this month. If the sole or principal reason for a dismissal is a TUPE transfer, the dismissal will be automatically unfair unless there is an economic, technical or organisational (ETO) reason for it (Regulation 7(1) TUPE 2006). The Court of Appeal has recently looked at whether a dismissal for personal reasons at the time of a TUPE transfer can get the employer off the hook for unfair dismissal. In this case, the employee was dismissed on the day of the transfer. Close proximity between a dismissal and transfer will not be conclusive but is strong evidence in the employee’s favour. The Court of Appeal also noted that the difficult relationship had existed for some time without the employee being dismissed. That only happened when the transfer took place, at Hare Wine’s request. Employers should take great care when dismissing for non-transfer reasons when they are close to a transfer.